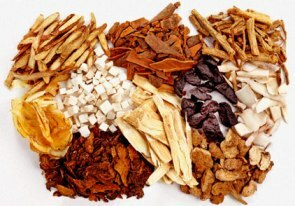 Herbal medicine is a powerful part of traditional Chinese Medicine. Commonly, western drugs will control the symptoms of an unbalanced state without addressing the underlying disease process. Chinese herbs will treat the underlying condition that is leading to the imbalance without causing unwanted side effects. The herbs are first cooked into a tea and then dried into a concentrated powder. The powdered herbs are combined into specific formulas designed to meet the needs of each individual’s constitution and current condition. Many herbal formulas are also available in a patent form (capsules or pills). 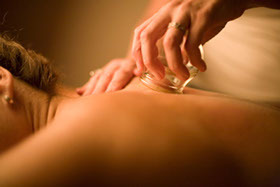 Using a glass jar and a source of heat, a partial vacuum is created on the surface of the skin. This increases the flow of qi and blood to the area, disperses cold and dampness to speed healing and relieve pain. The herb Aretmisia Vulgaris (Moxa) is prepared in a way that allows it to be burned above the skin at the acupuncture points. The heat warms the qi and blood in the channels and is therefore useful in tonifying the body and treating disease. A small micro-current is attached to two needles which have been inserted into the skin at specific points. This method can be used to relieve pain, increase the flow of qi and blood and to stimulate growth and healing of a wound.